Hasbro is starting its first integrated Spanish-language media deal with NBCUniversal’s Telemundo and social media marketing agency Being Latino. The three-month campaign targets Latina mothers, using Hasbro’s “Fun with Mom” messaging, and begins today, October 23, appearing on Hasbro and Telemundo brand channels. Videos of Hispanic social media influencer Evesther will showcase moments with mothers and their children playing together and will highlight Hasbro products including Transformers, Play-Doh, Baby-Alive and Pie Face. 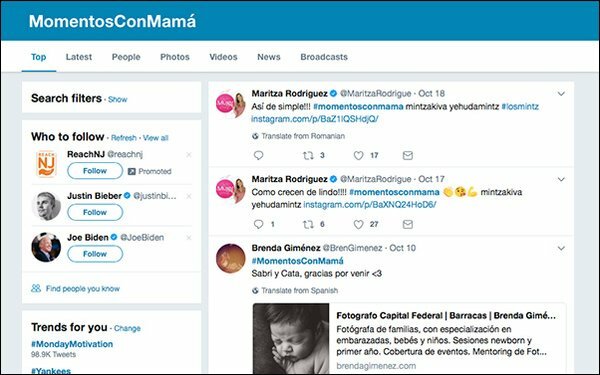 The campaign will use the hashtag #MomentosConMamá to amplify social reach and receive additional exposure through NBCUniversal’s Social Synch offering. On Monday, Hasbro warned of weaker holiday-season sales due to the bankruptcy of Toys 'R' Us, its largest customer. The largest toy retail chain in the U.S. filed for bankruptcy in September with $5 billion, due to creditors including Hasbro and Mattel. The warning came as Hasbro estimated revenue results for the fourth quarter rising from 4% to 7% — from $1.4 billion to $1.7 billion. These stats would be below analysts' revenue estimates of $1.82 billion. Mid-day trading of Hasbro’s stock was down 8% to $90.44.